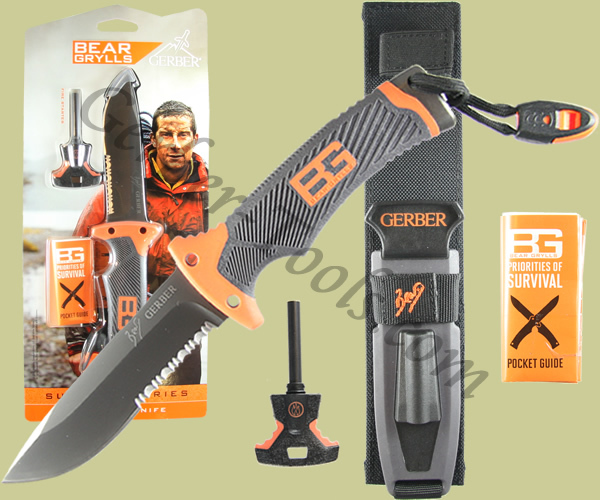 Bear Grylls Survival Series, Ultimate Fixed Blade Knife, Drop Point, Serrated. 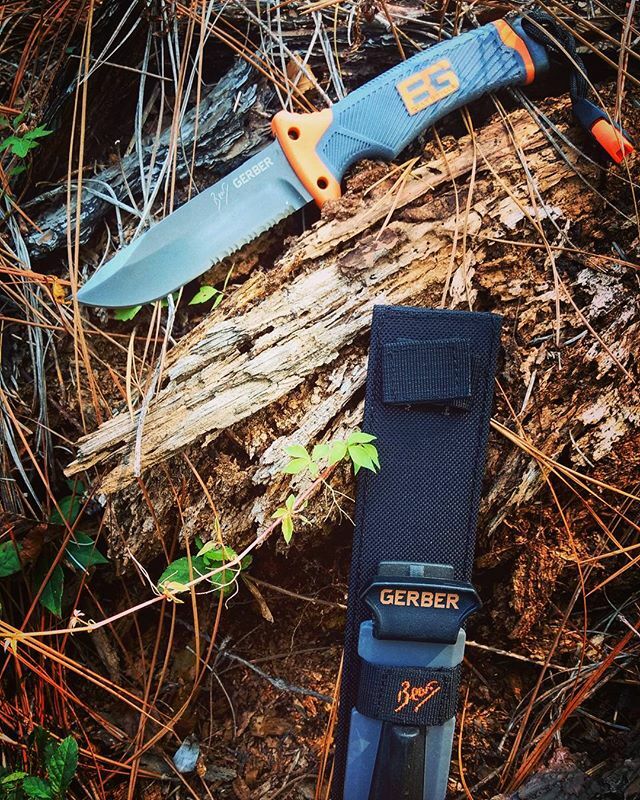 The Gerber Bear Grylls Ultimate Fixed Blade model 31-000751 is unique in the market today. It features a full tang, partially serrated, drop point fixed blade. This is constructed of high carbon stainless steel. The handle of the blade is covered in texturized rubber for a sure grip. The base of the handle has a stainless steel cross hatched pommel for hammering. The attached lanyard comes with a built in survival whistle. The sheath has several survival features itself. There is a fire starter rod housed on the front of the sheath. On the back of the sheath you will find a diamond sharpener. A Priorities of Survival pocket guide included is included.